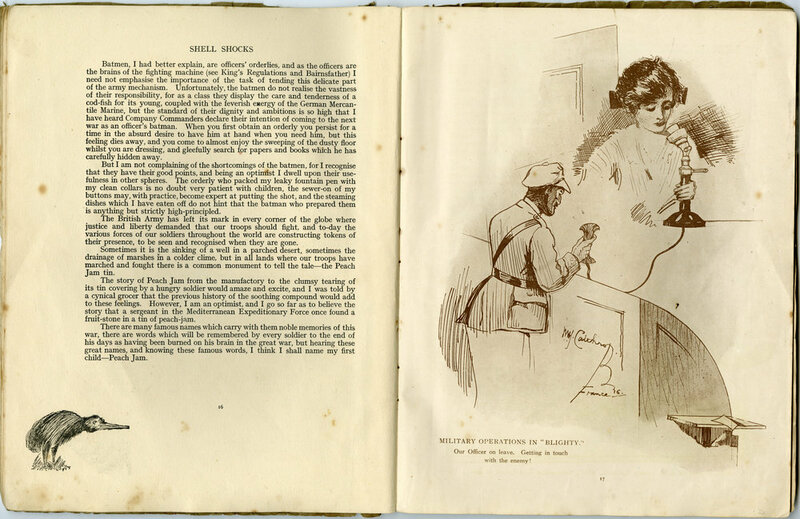 'Shell-Shocks, New Zealanders in France', a publication designed to promote 'cheerfulness' and which provides information in a light-hearted manner using anecdotes, sketches, cartoons and poems. 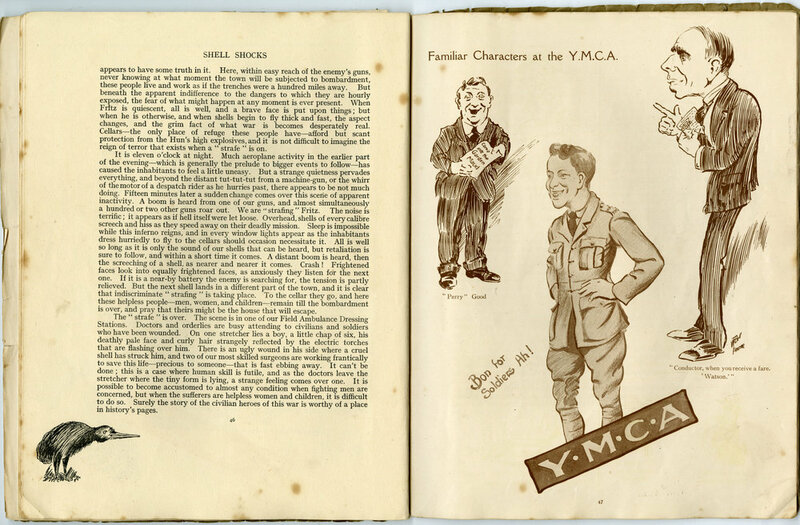 On the back cover is the statement, 'All profits accruing from the Sale of Shell-Shocks will be used in providing Comforts for Men of the Division at the Front, through the New Zealand Y.M.C.A.' 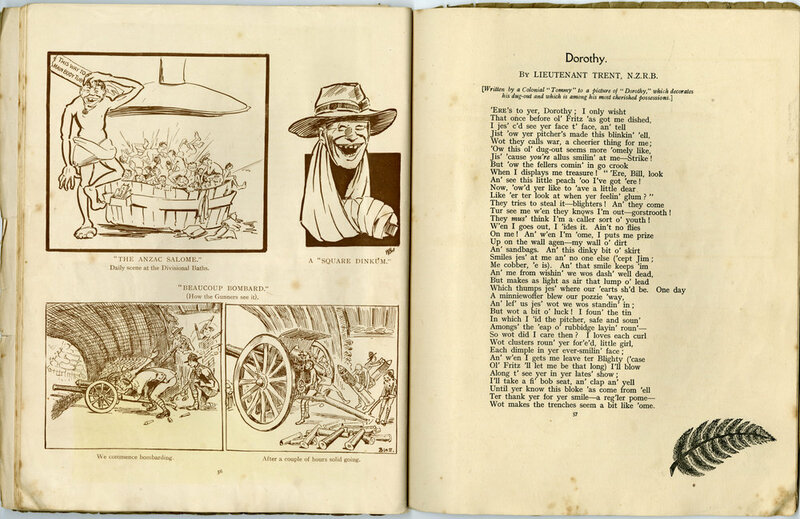 [Published by The Empire Press, London, Jarrold & Sons, Ltd, 1916].